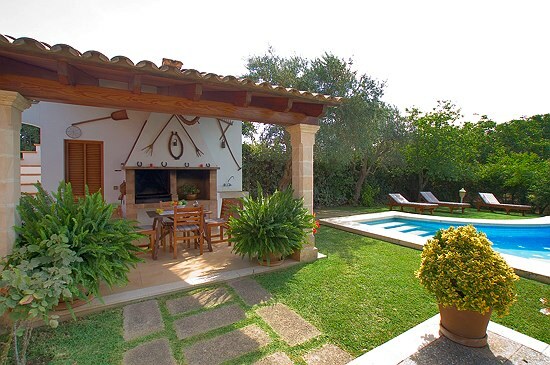 3 Bedroom, 2 Bathroom Villa with Mountain View and a Private Swimming Pool , Air Conditioning, WiFi, Satellite TV, near Golf, Sleeps a maximum of 5 people. 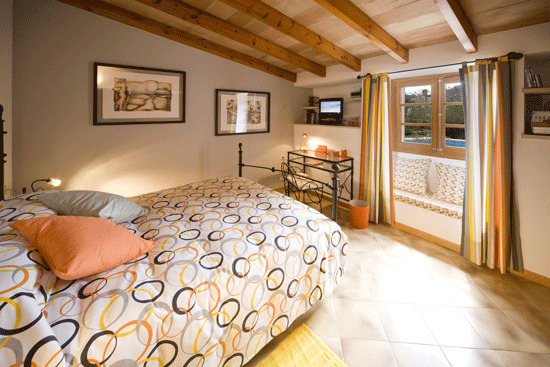 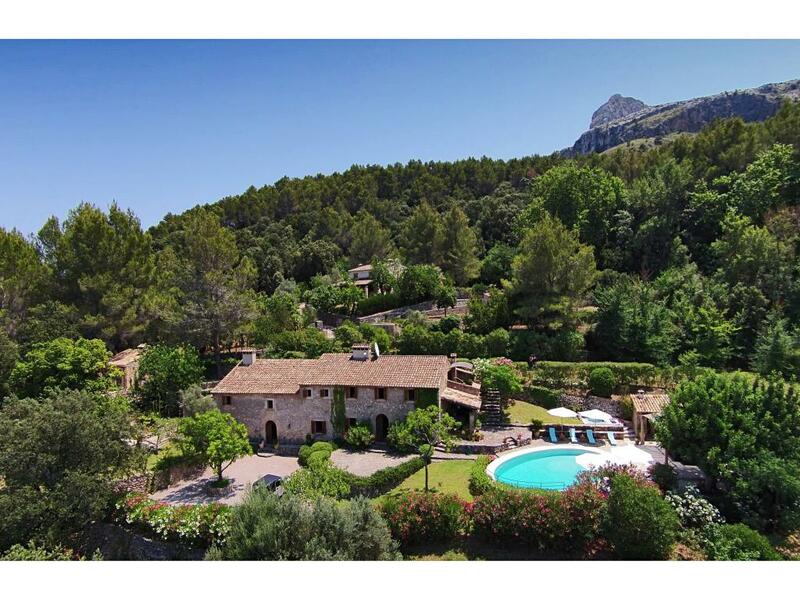 Another in our collection of Pollensa town villas. 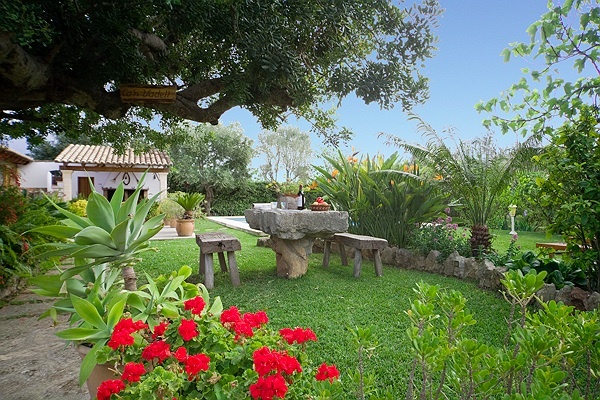 Vadell is an attractive stone villa, surrounded by well kept gardens. 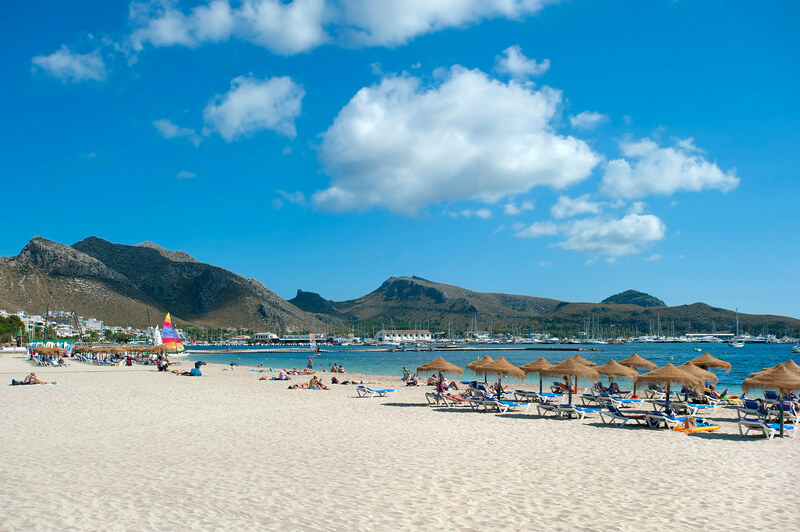 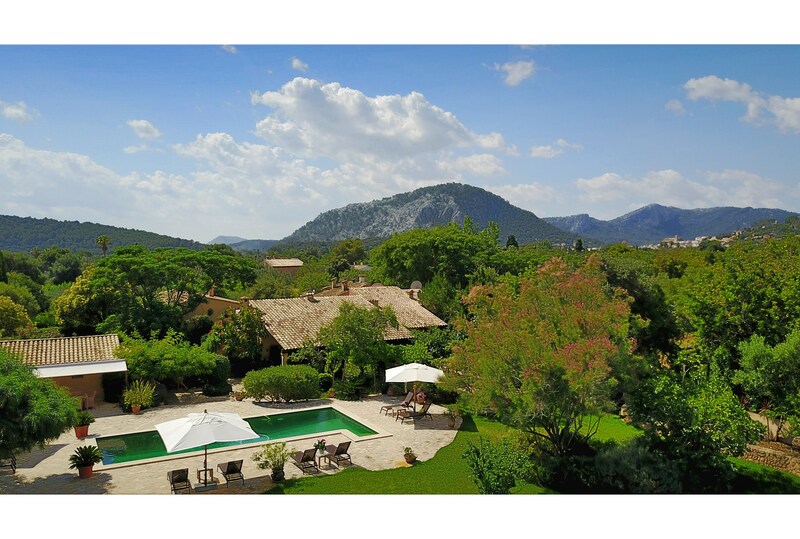 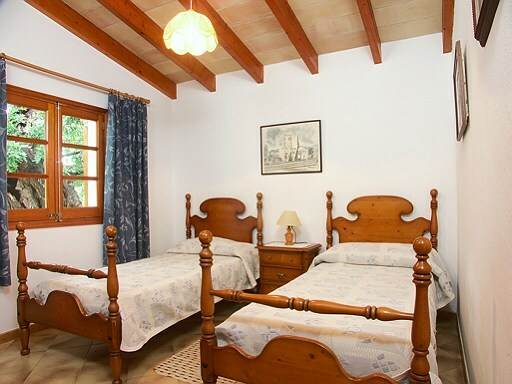 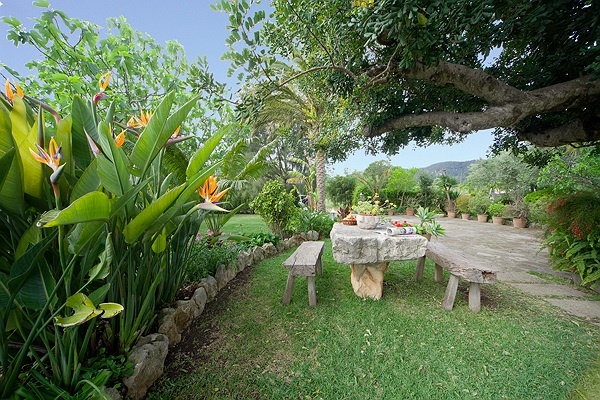 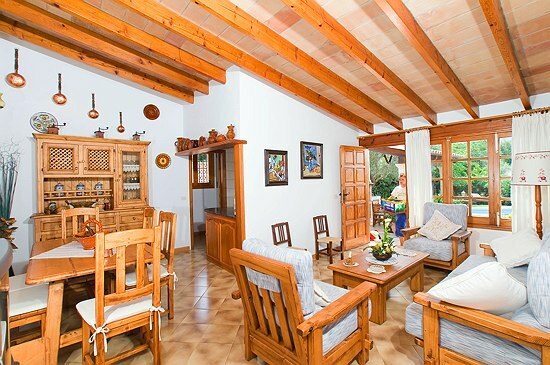 Situated close to the famous old Roman bridge, the property is just a gentle stroll away from the historic town of Pollensa, with it`s wide range of restaurants, traditional bars and cafes. 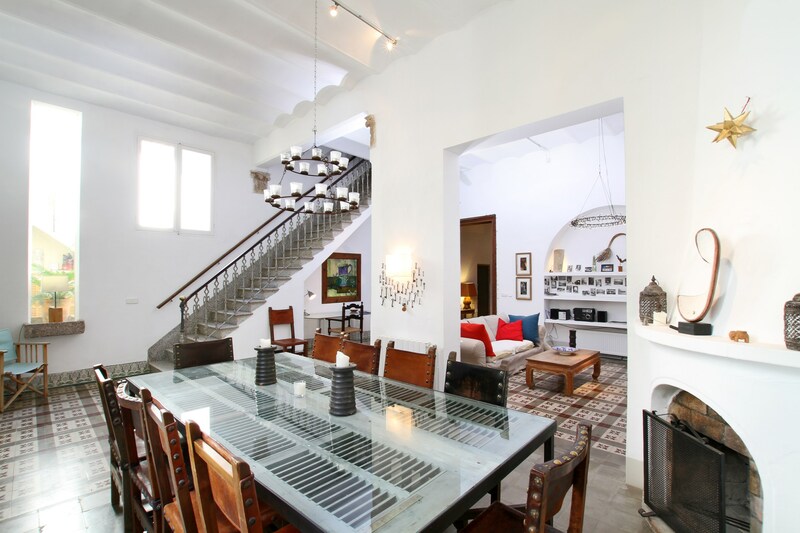 A long, private driveway leads up to the villa entrance and into the lounge/dining area, complete with American style kitchen. 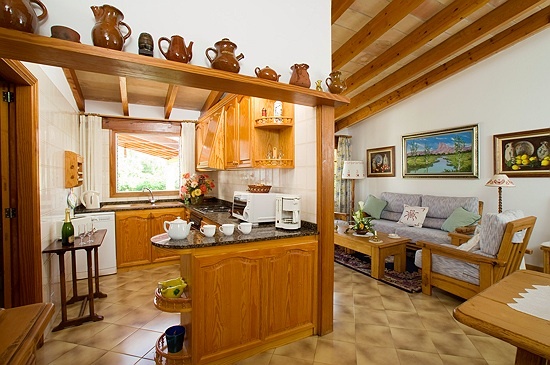 There is also a pantry adjacent to the kitchen. 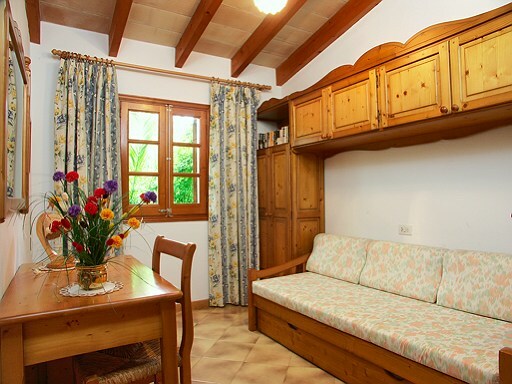 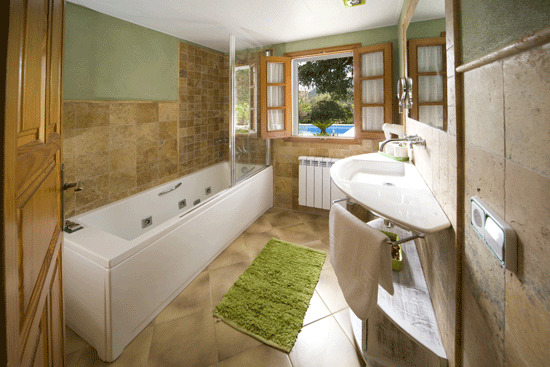 A small corridor, leading from the lounge, leads to a double bedroom, a twin bedroom, a room with a convertible sofa bed and a full bathroom. 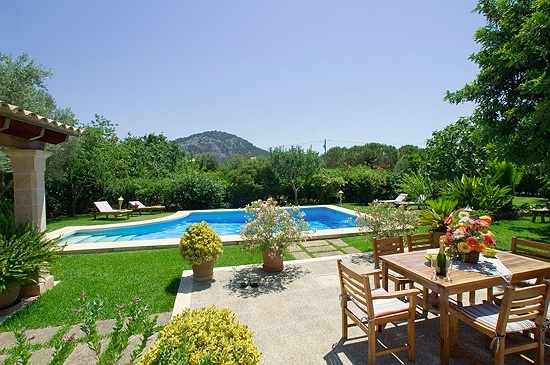 Outside, the sparkling, grand piano-shaped swimming pool and garden are an absolute joy. 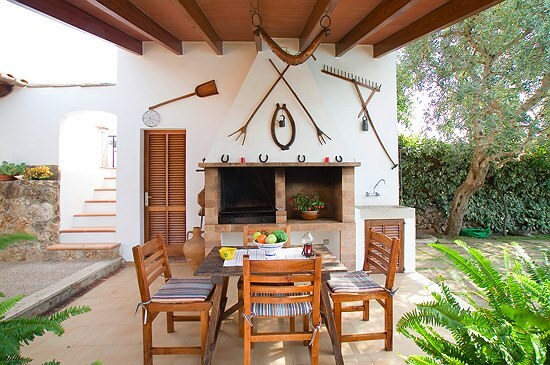 A covered terrace, decorated with classic artisan`s tools and utensils, contains and outdoor shower, the built-in barbecue and a wooden table and chairs for alfresco dining. 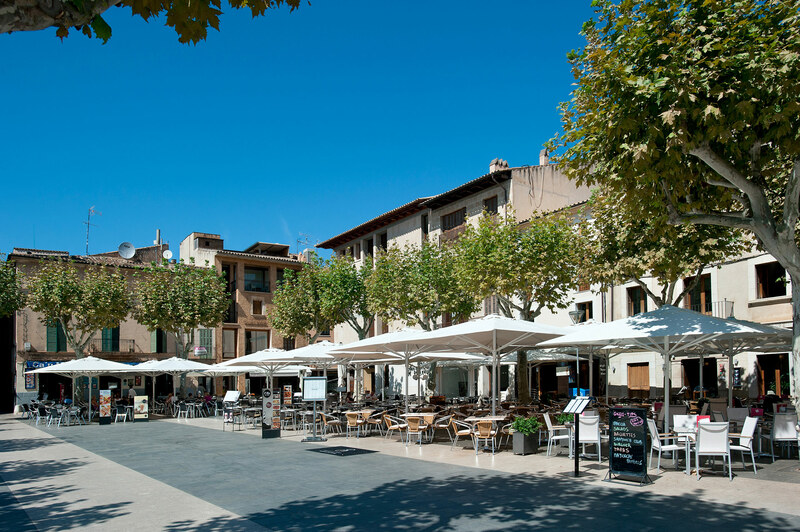 A superb place for open-air entertaining, alfresco dining and for soaking up the authentic atmosphere of Mallorca. 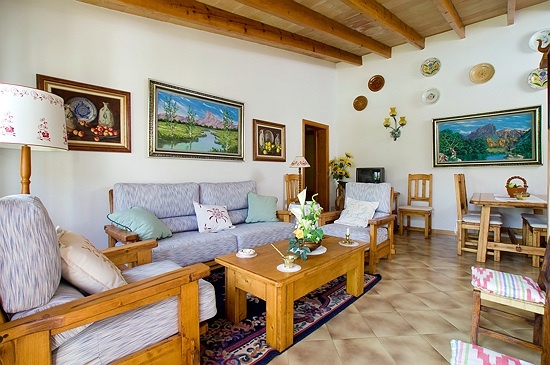 *Please note that this property has air conditioning facilities on a timer: guests will only have use of the appliances from between 2pm to 4pm and 8pm to 8am.